Preheat the oven to 375 degrees. Options: Lightly spraying a 9' X 13" pan with high-heat canola spray; or line the bottom of the pan with parchment paper; use a silicone pan or simply go "bare naked pan". Suit yourself. I mostly go "bare naked pan". Never a problem. Instead of using Lite Tofu, when I've made this the last few times I've substituted 2 15 oz. cans of Eden no-salt added cannellini beans. Meet other people in the Seattle area who are following the McDougall diet for lasting health benefits. Learn about the diet, share recipes and ideas, gain access to resources such as books, newsletters and web links. Get together for pot lucks, outings, DVD evenings, walks, and other activities to help us keep on track. Join us if you were inspired by the movie 'Forks over Knives'. 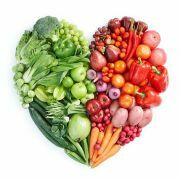 We also welcome folks on the Esselstyn Engine 2 diet, Dr. Joel Fuhrman's 'Eat to Live' diet, or anyone on a vegetarian or vegan diet for health reasons.